Saudi Arabia’s Crown Prince Mohammed bin Salman has launched a major tourism project in Al Ula, which will include a resort designed by French architect Jean Nouvel. The man behind the Louvre Abu Dhabi will design the Sharaan resort, which will sit inside a nature reserve – also called Sharaan – at the mega project in the mountainous region of Al Ula; part of plans to transform the area into a world-renowned tourism destination, according to local press. 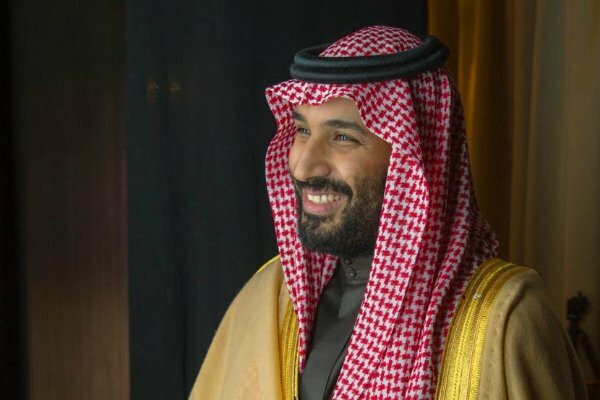 Crown Prince Mohammed bin Salman officially launched the project with the governor of the Royal Commission for Al Ula, Prince Badr bin Abdullah bin Farhan, at a groundbreaking ceremony at the Maraya theatre on Sunday. Also in attendance were Prince Abdul Aziz bin Turki Al Faisal, Princess Reema bit Bandar, and Greek composer Yanni, who performed at the theatre as part of the Winter at Tantora festival last weekend. Al Ula is famous for its sandstone rock formations, and for being the archaeological site of Madain Saleh – the largest Nabatean settlement south of Petra. It was designated as Saudi Arabia’s first UNESCO World Heritage site in 2008. The resort’s full design will be finalised by the end of the year, and is expected to include residences, a summit centre, a spa and restaurants. Construction is scheduled to begin in early 2020 and be competed in 2023. Meanwhile, the Sharaan Nature Reserve will aim to conserve and restore the region’s natural desert habitats, including the Arabian leopard. Local rangers will be trained by international experts. The project has been in the pipeline since 2017, when the Royal Commission for Al Ula was created. The commission aims to attract 2 million visitors to the area by 2035,, creating 38,000 jobs and generating SAR120bn ($32bn). In July last year the French Agency for Al Ula’s Development was also created, after Paris and Saudi Arabia signed a bilateral agreement.